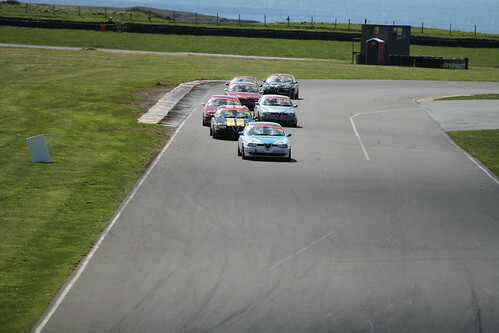 Setting off for Anglesey on Friday afternoon it looked like the journey to Silverstone all over again – persistent rain! However, as we got nearer to the lovely Welsh island the rain gradually eased. By mid afternoon the conditions were cool and dry, and those drivers testing in advance of the race meeting had managed to get in a decent number of dry laps. With the forecast for the weekend being dry with sunny spells we were all hoping the meteorologists had got it right. Happily they had! 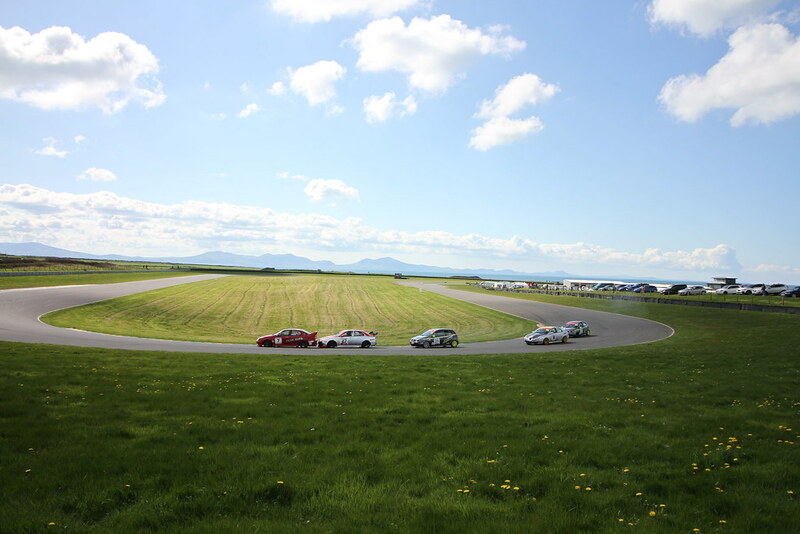 17 entries we felt to be pretty good given Anglesey’s remote location, but straight away we were down to 16. Sadly Josh Lambert had had a phone call after arriving at the circuit on Friday telling him that his father had been taken seriously ill and he had to leave immediately to return home. We wish Josh and family all the best at a difficult time. Saturday morning dawned dry and cloudy with sunny spells as forecast, with a cool breeze blowing, and qualifying got under way on schedule at 10.25. 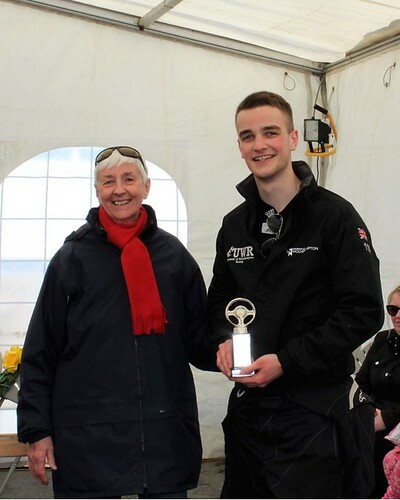 As is his custom, Tom Hill was first out and was immediately right on the pace, setting what was to prove the Twin Spark pole of 1m 22.072s on only his first flying lap. 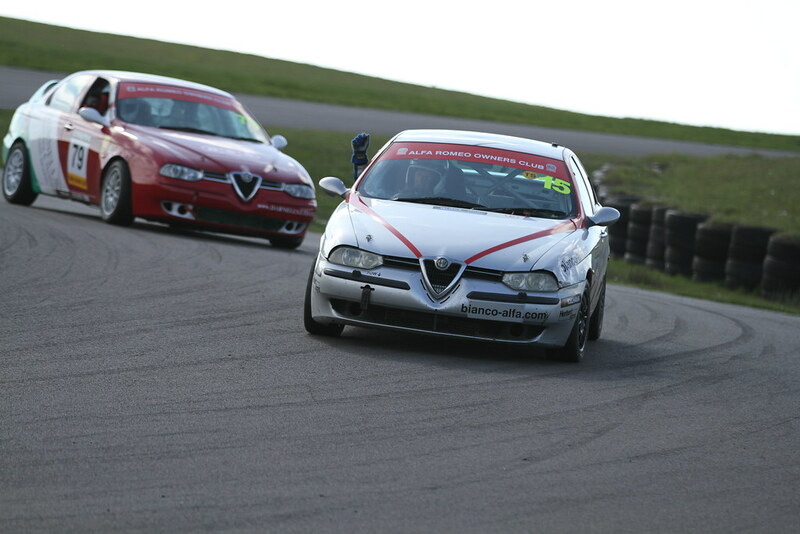 In fact, setting their best times early in the session was to prove a constant feature for those running in the Twin Spark Cup. All the drivers completed at least 12 laps in qualifying but no one set their quickest time after lap 7 and most did so in their first 4 laps. Tyres, it seems, were an issue: setting correct tyre pressures in the conditions seemed to be tricky as grip deteriorated very quickly. At one point in the weekend a bemused Brian Messenger had sent Dave out with 24 psi and measured it at 42 psi when he came back in! The Modified and Power Trophy runners didn’t seem to have the same problem for some reason. 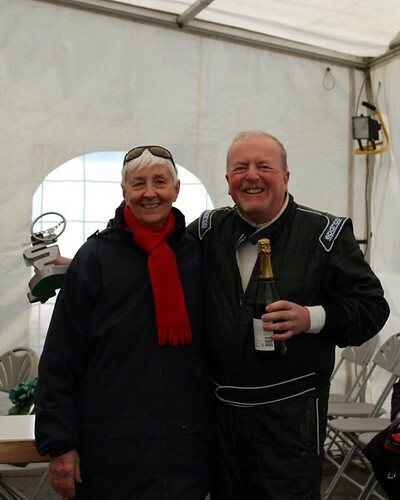 Mervyn Miller, the only Modified runner, quickly worked his way down into the 1:18s and set his fastest time of 1:17.354 on his penultimate lap to take pole position. 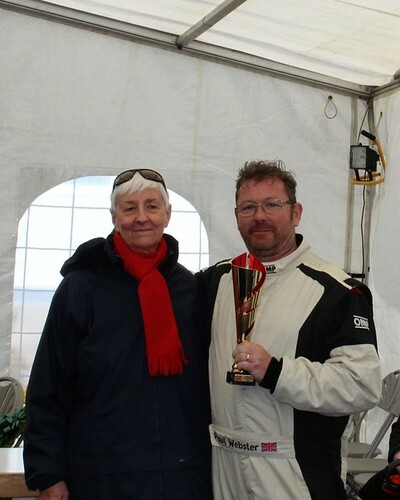 Roger Evans’s new red 156 GTA was being run straight out of the box, untested, but ran extremely well and his 1:18.709 was good enough for second overall and the Power Trophy ‘pole’. He also discovered that the rear of the car was set up for wet conditions and was confident of improving his times with a few adjustments. Paul Webster seemed to be driving well within himself in the early stages but set 3rd quickest time of 1:19.527 late in the session. 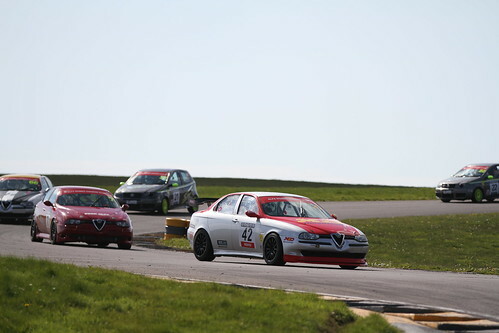 4th quickest overall was Simon McFie in one of the duelling Abarths in 1:21.889, which he set midway through the session. His brother Chris, however, was troubled by an ominous sounding drive shaft and a brake problem and ended his qualifying session early to investigate. He managed a 1:23.335 lap to go 8th quickest overall and line up 5th on the front section of the split grid. The remaining Power Trophy runner, Scott Austin, experienced a loud bang on only his second lap which caused the steering wheel to alter its position by half a turn. Disconcerted, he came in after only 3 laps to investigate, identifying a loose bolt in a suspension upright as the suspected culprit. He set the slowest time of all as a result but on a positive note the reason for the misfire that he experienced at Silverstone had been identified and the car was running cleanly on all 6 cylinders. Tom Hill having commandeered the Twin Spark pole early on it was then a case of who could get closest. Second quickest was Paul Plant, having an occasional outing in Andy Hancock’s 156 in Andy’s absence; Paul posted a 1:22.461, again early in the session. 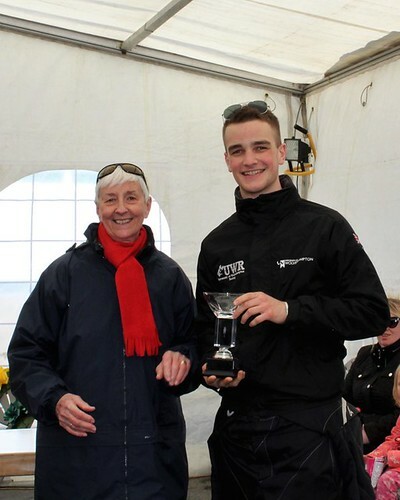 3rd quickest Twin Spark was Richard Ford, continuing to show the excellent form he showed at Silverstone, just 3/10ths shy of Paul in 1:22.784, and over 6/10ths quicker than Simon Cresswell, whose 1:23.450 put him 4th on the Twin Spark grid. 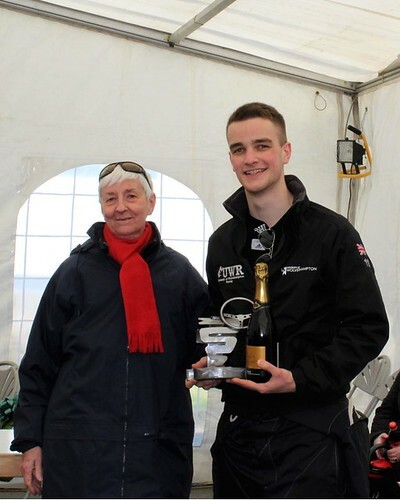 Kristian Leith was next; car problems have slowed him up so far this season in terms of results but a best lap of 1:23.521 demonstrated the good progress he is making on his return to the Championship. Mike Tydeman was next, posting a 1:23.636 to be 6th fastest Twin Spark, perhaps a little further back than his recent form might have led us to expect, but still very competitive. 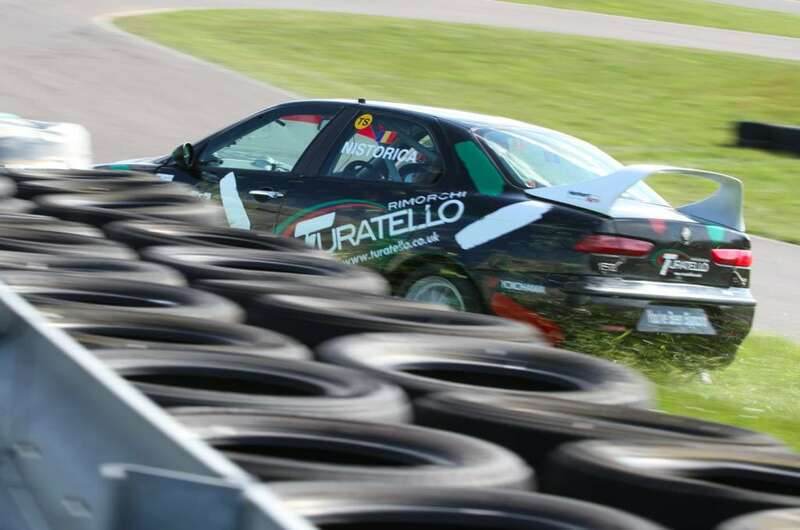 Only a tenth or so behind Mike was Ricardo Losselli, recording a 1:23.763 in the green 147 which was nearly half a second quicker than his second fastest lap, and so a very good lap in that context. Next was Dave Messenger. Dave hadn’t raced at the circuit before so, like some others, was on a steep learning curve as he hadn’t had time to test on Friday either. In addition he was plagued by a misfire throughout the session – later traced to a faulty earth wire, one of those trivial little things that can have such a big impact on the performance of the car. Even so, he managed a 1:23.917 lap early on, which was a good time in the circumstances. 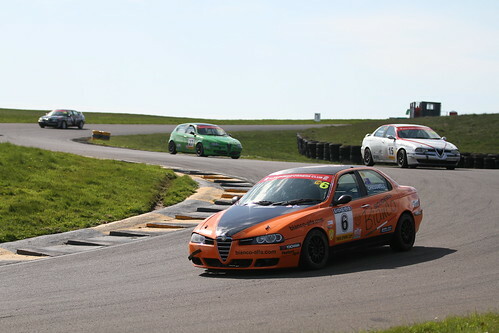 Dave was followed by Cip Nistorica in 1:24.474, another driver learning the circuit and making steady progress. 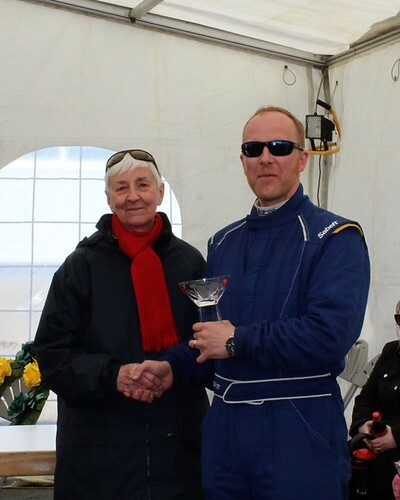 Finally there was Kevin Gallagher having his very first race in a newly built 156. Kevin was several seconds off the pace, reflecting his inexperience, as he wisely took things steadily in this new racing environment. He would line up at the back of the grid. 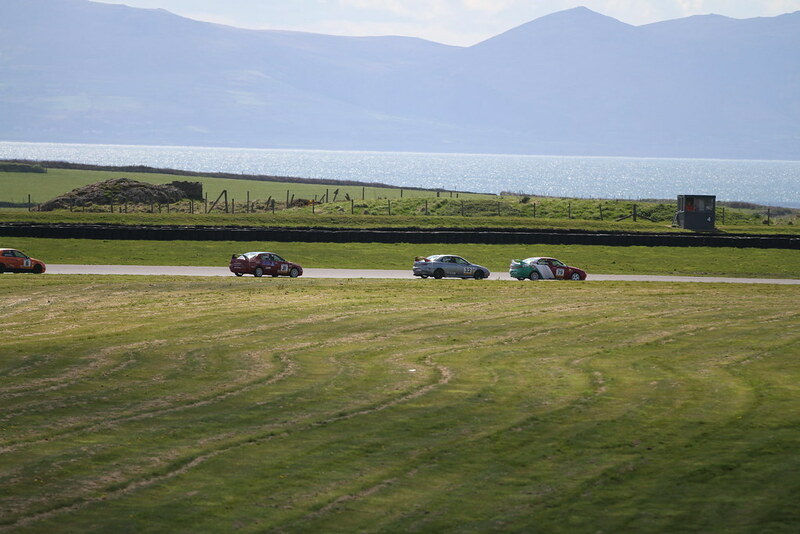 Our first race was scheduled for 16.20 on Saturday, just before the second of the 3-hour Fun Cup races, and the cars lined up for the start looking superb in the April sunshine with the Irish Sea as a backdrop. There was a delayed start when Kevin Gallagher’s 156 stopped out on the short straight just after the hairpin on the green flag lap and had to be retrieved. 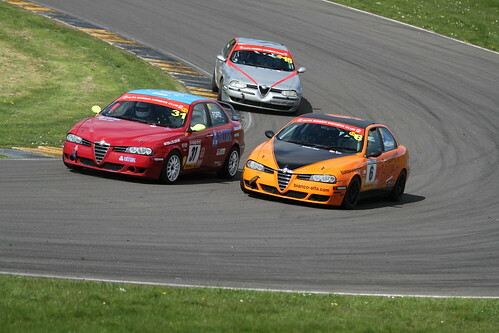 However, it was then breathed back into life and he was able to start the race from the pit lane. As the lights went out Mervyn Miller was momentarily slow away but was well into his stride and just in the lead by the time the front grid cars were entering Turn 1. However, Paul Webster was boxed in behind Mervyn at the start and the rest of the Power Trophy cars went past him before he could rectify the situation. As the vigorously waved starting flag (Andy Inman, please note!) sent the Twin Sparks on their way Paul Plant got the jump on Tom Hill to take the lead. Richard Ford was third, followed by Simon Cresswell, Dave Messenger and Mike Tydeman, Mike having a long grassy moment at the exit to Church after running wide on the right hander. At the end of Lap 1 Mervyn lead from Roger Evans, Simon McFie just edging Chris in the 2 Abarths, Scott Austin and Paul Webster. 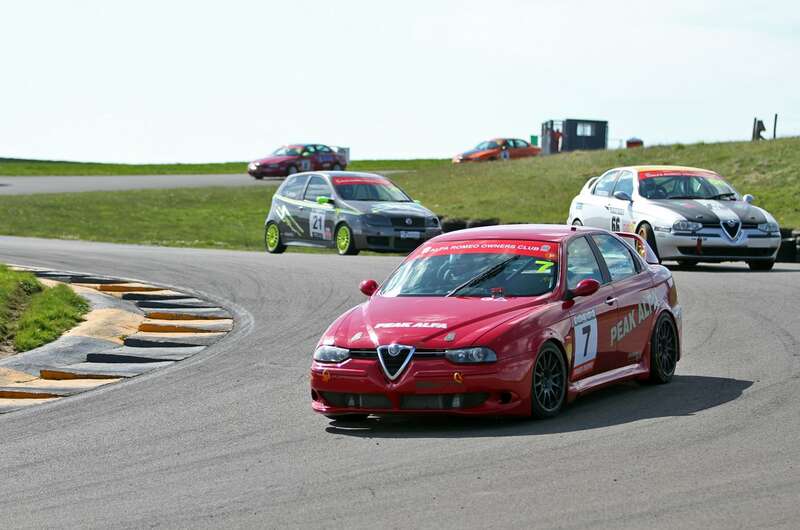 When the Twin Sparks came through the order was Paul Plant, Tom Hill, Richard Ford, Simon Cresswell, Kristian Leith, Dave Messenger, Mike Tydeman, Cip Nistorica, Riccardo Losselli and, after a very slow opening lap, Kevin Gallagher. Riccardo was already in difficulties, his 147 engine cutting out, and at the end of Lap 2 he pitted so the Bianco crew could try and address the problem. He rejoined but pitted again 2 laps later with the same problem. Again he rejoined but the problem persisted and after a handful of slow laps he retired. At the end of lap 2 the order was the same except that Kristian Leith had dropped behind Dave, Mike and Cip and clearly had some kind of problem. It transpired that his throttle had stuck wide open as he approached the hairpin – the pedal stuck under the bump stop – an unnerving experience. Later in the race it did it again and, discretion being the better part of valour, he backed off a little, especially down the Corkscrew, circulating in the 1:24s before finishing 13th at the end. Kevin Gallagher was also driving cautiously in his first race, lapping around 7 seconds per lap slower than the rest of the Twin Sparks, the car down on power, later attributed to an alternator problem. Meanwhile, back in the front group, surprisingly after 3 laps, Paul Webster was still behind the 2 Abarths and Scott Austin. The McFie’s were duelling close together, matching each other’s times in the 1:22s, entertaining the crowd. They were so close that early on I had to reassure the officials in Race Control – who were anxious about how close together they were – that they trusted each other implicitly and knew what they were doing! Scott Austin meanwhile was showing much improved pace; the engine was running cleanly and although he was still grappling with a handling problem he was lapping some 7-8 seconds per lap quicker than in qualifying, demonstrating that he is progressively solving the issues with the car and also getting back into his stride after a long time away from racing. 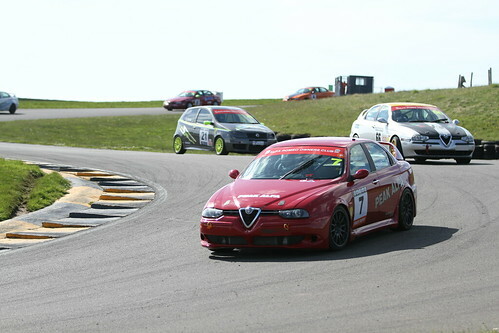 Paul Webster was now getting his head down though and passed the 155 on lap 4 and then the 2 Abarths in successive laps. His lap times then got better and better but by this time he was some 15 seconds behind Roger. He reduced this somewhat by the time the chequered flag came out but had been left with too much to do. The Twin Spark order was now settling into a pattern at the front. Paul was maintaining a gap over Tom, with Richard running third, a few seconds clear of Simon who was in turn a few seconds clear of Dave who was a few seconds clear of Mike. On lap 7 Mike had run wide onto the grass, lost a few seconds, and was shown a black and white flag for his pains. 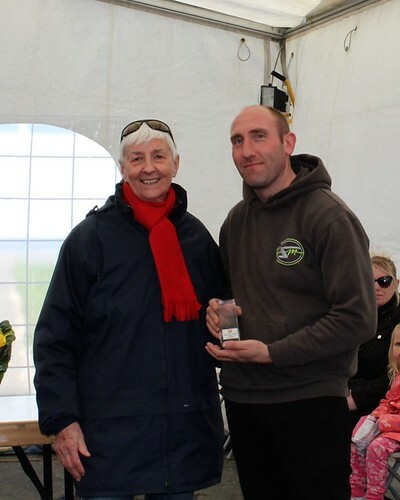 However, he then reeled Dave in again and passed him on lap 13. 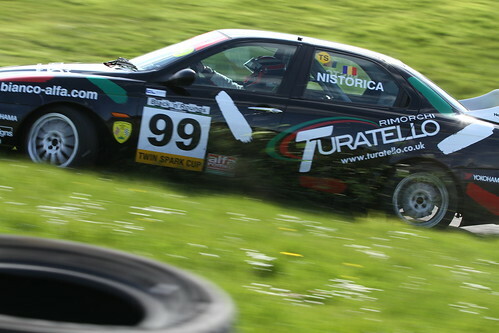 On lap 8 Cip Nistorica ran wide on the left hander in the middle of the Corkscrew and hit the heavily padded tyre wall side on. 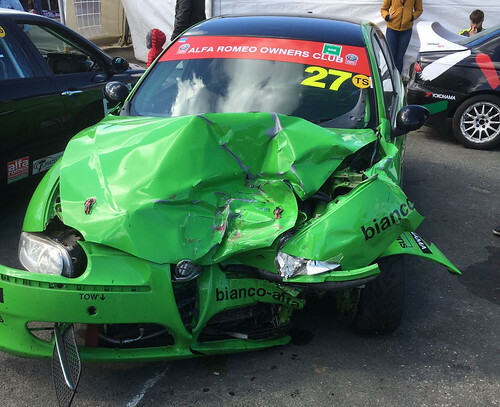 He climbed out, frustrated but uninjured, but the car had sustained significant damage and it looked like it might be the end of his weekend’s racing. There would be waved yellows there for the remainder of the race. At the front of the field Roger Evans had kept his car in Mervyn Miller’s mirrors (try saying ‘Mervyn Miller’s mirrors’ after a few drinks!) 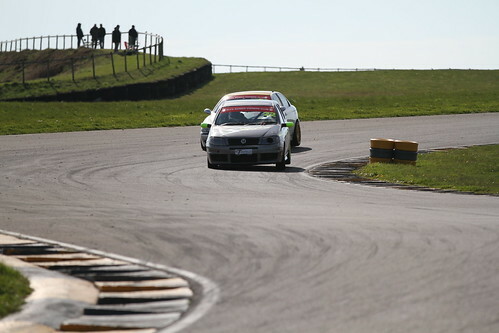 for several laps, but the greater power of the Modified car enabled Mervyn – who was driving extremely well – to increase the gap steadily to over 9 seconds by lap 12. The gap did come down after that: Mervyn exercised caution as he approached the Messenger/Tydeman battle to lap them but he had over 3 seconds in hand at the flag. 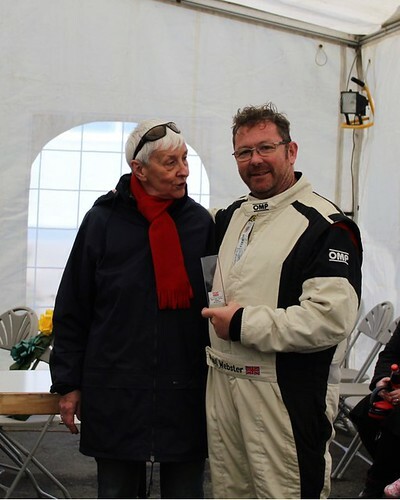 Roger was pleased at the performance of his new 156 GTA, especially as it was the first time it had been driven at pace, and felt there would be more to come from the car once he was tuned into the adjustments that were needed. 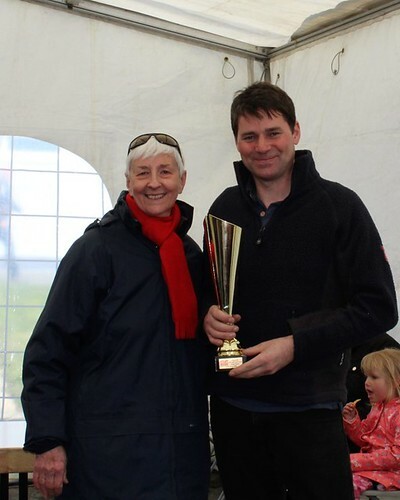 Paul Webster was 3rd ahead of Simon McFie, whose brother Chris had dropped back a little with deteriorating grip and drive shaft vibration. 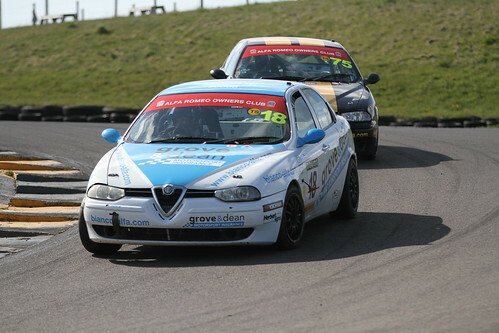 Scott Austin had dropped back behind Paul Plant and Tom Hill but kept pace with them thereafter and lost no further places. At the flag, Paul Plant had about 1.5s in hand over Tom Hill, with Richard Ford some 7 seconds further back, followed home by Simon, Mike, Dave, Kristian and Kevin. 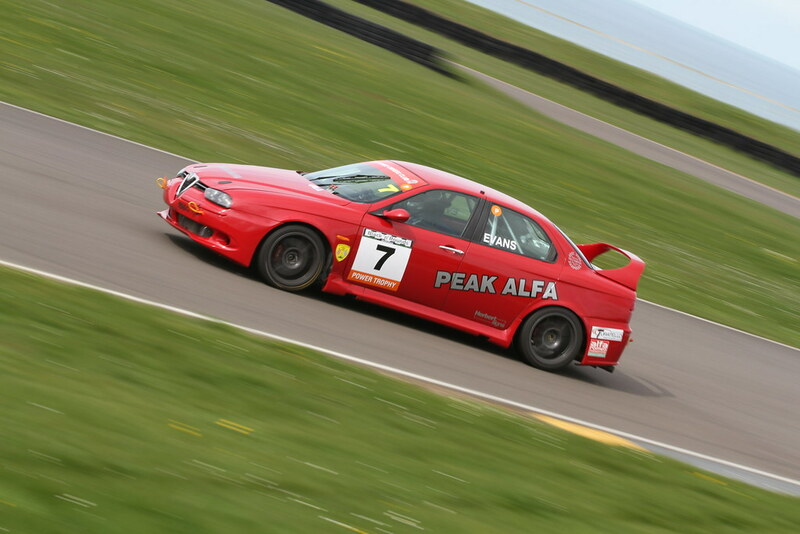 Paul set a new Twin Spark lap record of 1:22.435. 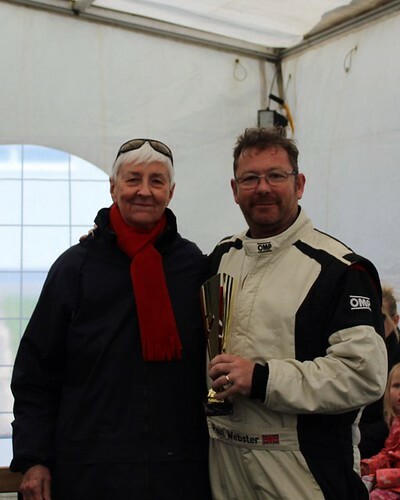 Mervyn set the fastest race lap overall of 1:18.599 and Paul Webster established the Power Trophy lap record at 1:18.782. Sunday morning arrived with the same dry weather we had been blessed with on Saturday, the rural Anglesey landscape looking peaceful in the morning sun. 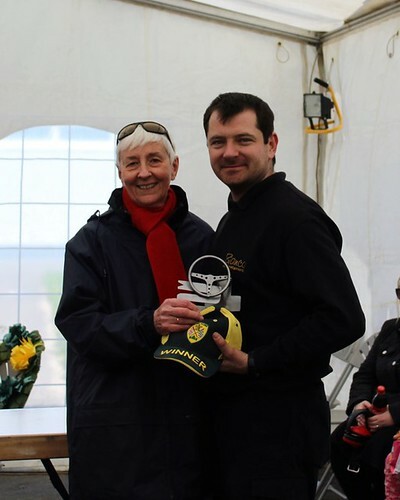 The Bianco team had worked hard on Cip Nistorica’s car during the previous evening and straightened it out enough for the scrutineers to agree that it was fit to race – a brilliant effort for which Cip was duly grateful. 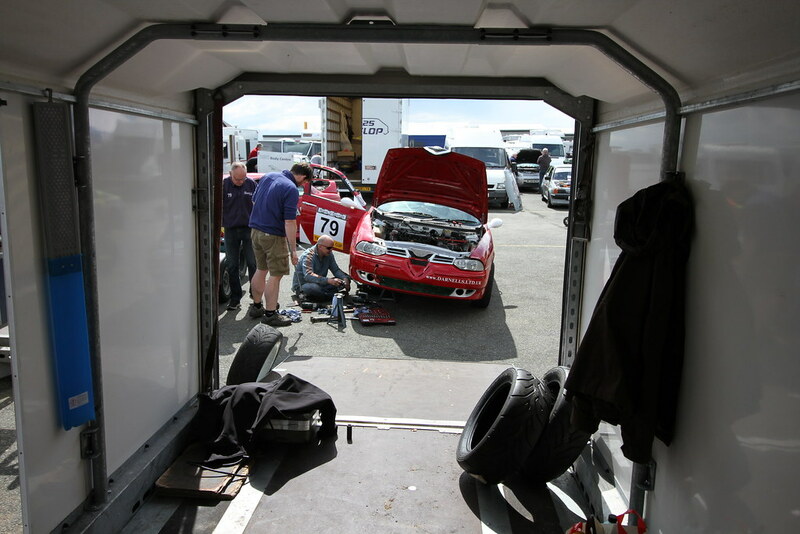 Kevin Gallagher’s car was suffering from a faulty alternator which was not charging the battery properly but he was hoping the battery would last out the race. 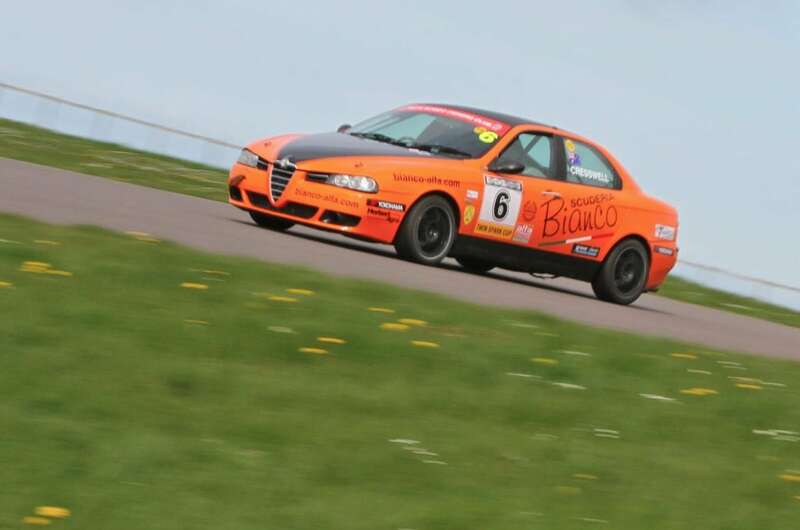 Bianco had worked on Riccardo Losselli’s car to try and identify why it was cutting out and were hopeful that replacing the master switch had solved the problem. 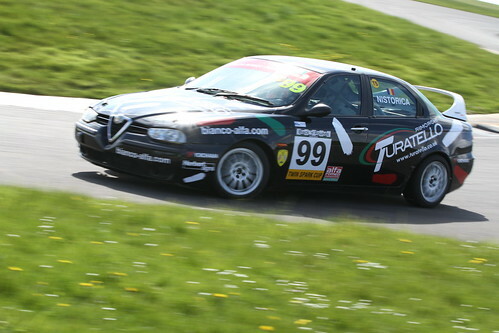 Chris McFie had replaced the drive shafts on his Abarth, hoping that would banish the bad vibes. 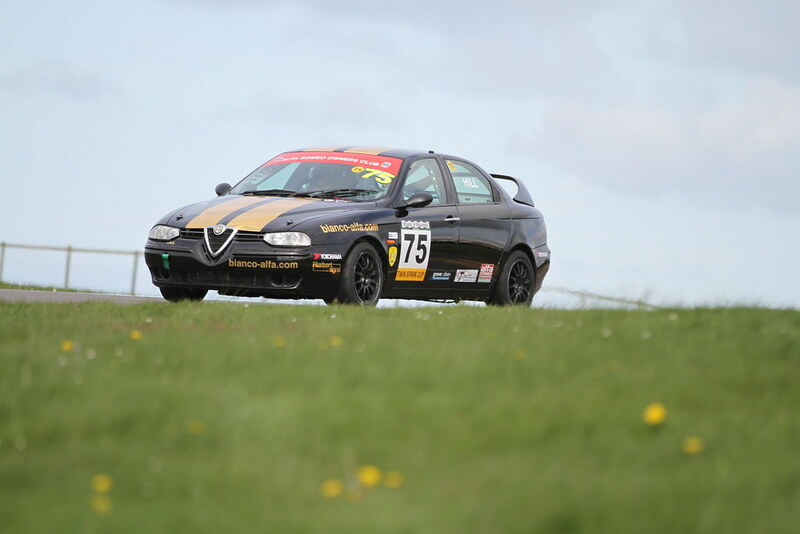 On checking his 155 over on Sunday morning, Scott Austin discovered little puddles of coolant in places where they shouldn’t be and this led to the diagnosis of a failed head gasket, sadly rendering him a non-starter for Sunday’s race. 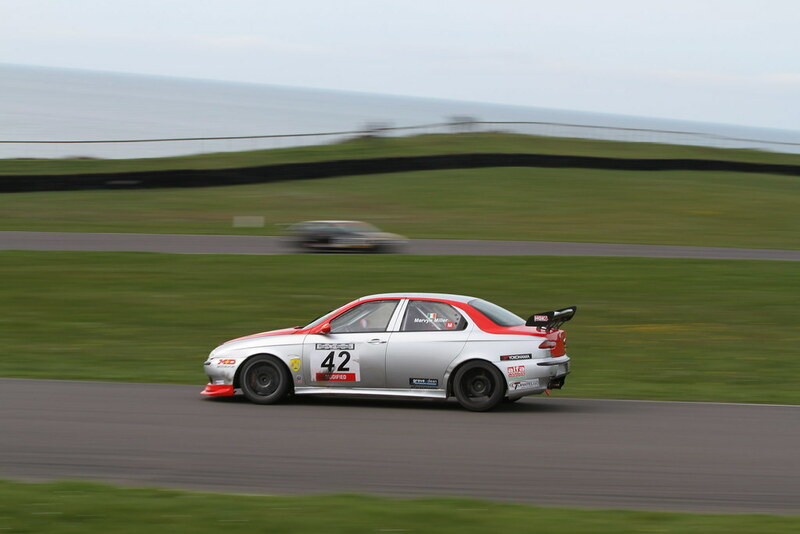 As the red lights went out, Roger Evans got an excellent start and led Mervyn Miller through the fast left hander, followed by Paul Webster, Simon McFie and Chris McFie, a running order which remained the same at the end of laps 1 and 2. 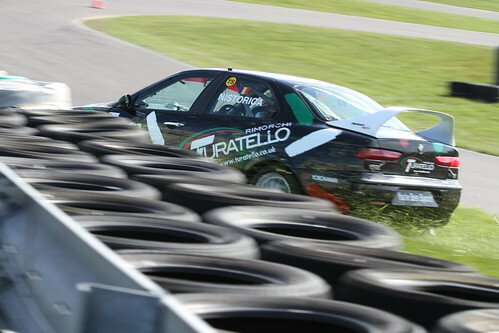 At the Twin Spark start, Paul Plant again got away quicker than Tom Hill and led the field through Turn 1, followed by a fast-starting Dave Messenger, Mike Tydeman, Simon Cresswell, Kristian Leith, Richard Ford (who had lost places), Cip Nistorica, Riccardo Losselli and Kevin Gallagher. This running order also stayed the same for the first 2 laps. On lap 3, Mervyn Miller used the extra power of his car to pass Roger Evans up the inside approaching Rocket and took the lead. In the Twin Spark field Richard Ford successfully pulled the same move on Mike Tydeman to move up a place. Kristian Leith, having already passed Simon Cresswell, was now right behind Dave Messenger and passed him on the long back straight to go 3rd in the Twin Spark class, albeit some distance behind Paul and Tom at the front, but able to pull clear of the close, sometimes too close, battle behind.The only further change in the order before the fateful 8th lap was that Riccardo Losselli, his car now running much better, had passed Cip Nistorica and closed up behind Mike Tydeman. On lap 8 Kevin Gallagher, already 2 laps down and struggling for pace, coasted to a halt on the short straight approaching Peel with a dead battery. Unfortunately, he had stopped on the racing line. He was passed by a number of cars until the 5-way dice between Messenger, Ford, Cresswell, Tydeman and Losselli arrived in that order. The first 3 got through OK, but the unsighted Tydeman only saw Gallagher’s car at the last second, swerving violently to the right and missing it by inches. The unfortunate Riccardo, however, was right behind Mike and, completely unsighted, hit the rear of the red 156 head on with undiminished speed. The red flag came out straight away. The drivers got out OK, both shocked and Kevin having to have a wound on his shin seen to by the medics, but both cars were effectively destroyed. 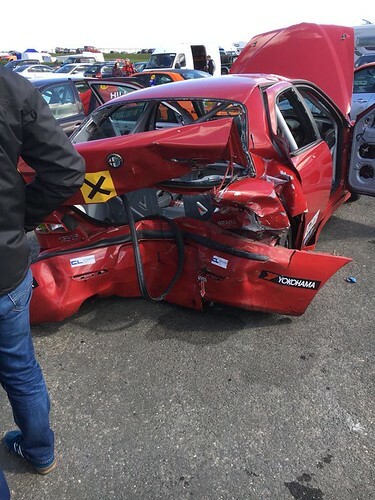 For those who have seen the footage of Billy Monger’s accident at Donington last year this was a carbon copy, but fortunately at a much slower part of a circuit and not in single seaters. There was nothing Riccardo could conceivably have done to avoid it. A lengthy delay ensued as the cars were retrieved and the debris cleared. The remaining cars lined up on the grid in the order they had completed the previous lap and the results of the first part of the race were published for information with each driver classified as DNF. The cars were sent away on a second green flag lap before coming around for the restart, apart from Mike Tydeman who came into the pit lane apparently leaking coolant but then able to take the start from the pit lane. 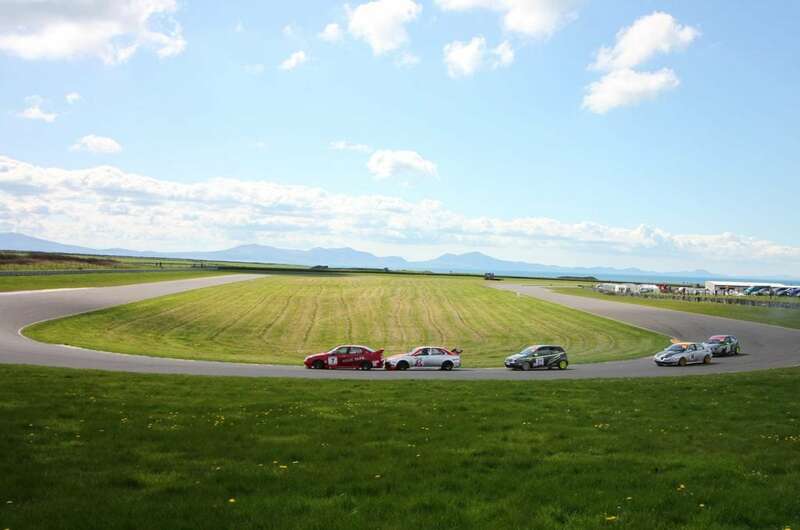 This time Mervyn Miller asserted himself straight away and led the first 5 cars into Turn 1 in the same order as before, albeit with Chris McFie now ahead of Simon. 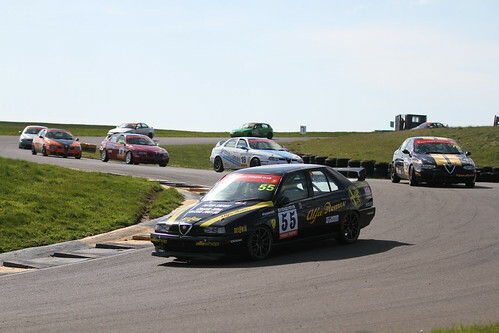 The Twin Spark start was very similar to the first in that Paul Plant again got the jump on Tom Hill and again Dave Messenger entered Turn 1 in 3rd place, followed by Kristian Leith, Richard Ford, Simon Cresswell, Cip Nistorica and Mike Tydeman. On lap 9 Kristian was pressurising Dave and got through at the bottom of the Corkscrew, and Simon passed Richard. There was little change in the order after that, with Dave successfully holding off Simon and Richard struggling to match his best pace as a result of suspension damage incurred earlier in the race. All this allowed Kristian to draw rapidly clear of the battle into a clear 3rd place. 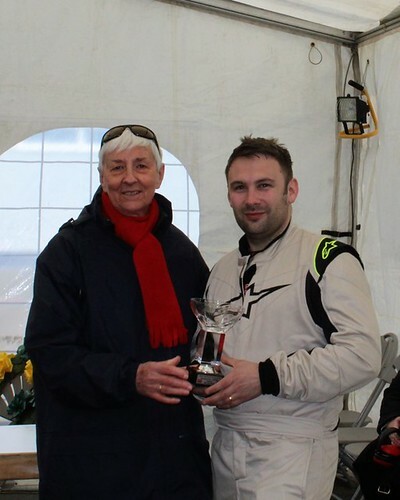 However, on the very last lap, Tom Hill passed Paul Plant at the hairpin and went on to claim the Twin Spark Cup victory. 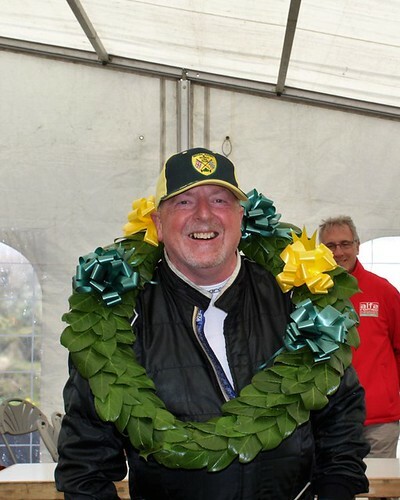 Mervyn again won the race overall with a fastest lap of 1:17.982. 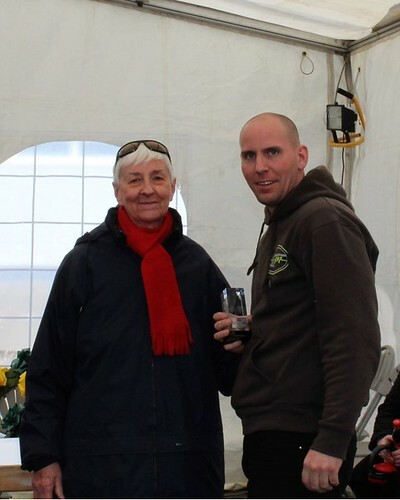 Paul Webster had made an unsuccessful attempt to pass Roger Evans at Rocket and had to settle for 3rd, with Chris and Simon McFie 4th and 5th respectively. 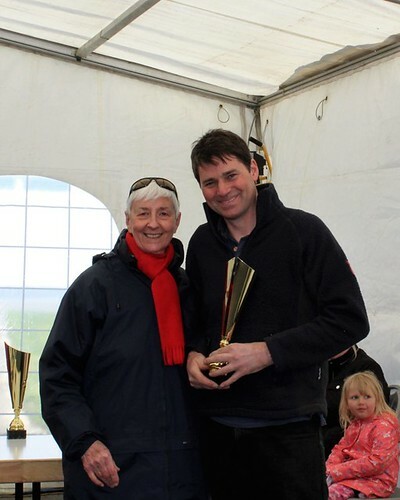 Tom Hill set a new Twin Spark fastest lap of 1:22.157 and Paul Webster lowered his own Power Trophy class lap record to 1:18.906. 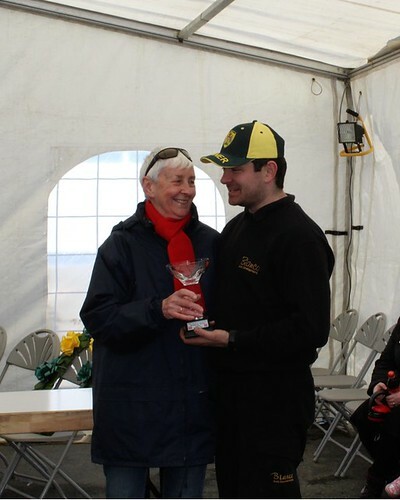 The Driver of the Weekend award went to Tom Hill for his Class pole position, new Twin Spark lap record and 1st and 2nd in class in the 2 races. It was certainly an eventful weekend. 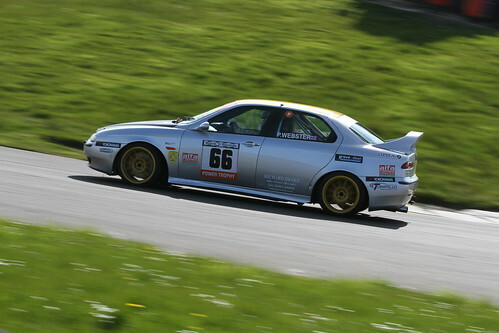 Now we are looking forward to Cadwell Park on 2nd/3rd June, a scenic and challenging circuit in the picturesque Lincolnshire Wolds, and hoping for a big entry list. See you there!